Tested and functional. Pulled from a retired computer. 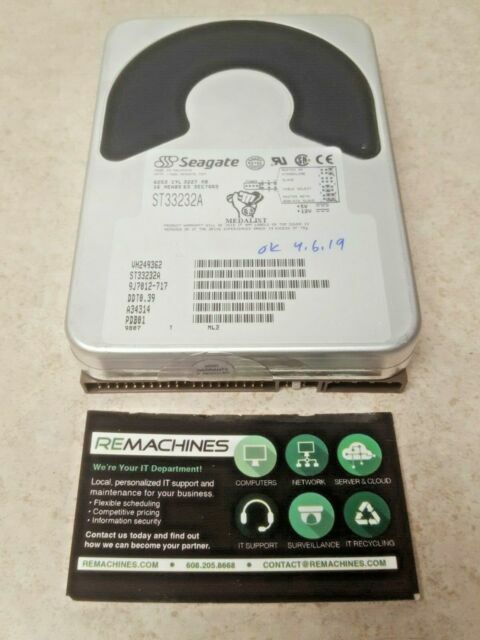 item 1 SEAGATE MEDALIST ST33232A IDE 3.2GB HDD TESTED FREE SHIPPING! -SEAGATE MEDALIST ST33232A IDE 3.2GB HDD TESTED FREE SHIPPING!